There are few things more energising than an evening of contemporary dance, and 2018 looks to be filled with the latest offerings from the medium’s finest talents. From Tokyo to London, and a fair few places in between, we pick the must-see performances you should make room for over the year ahead. Sanchis and De Keermaeker’s 2005 ode to John Coltrane’s eponymous album has been updated, this time with an all-male quartet. It’s entrancing and energetic – spiritual even; this is the album Coltrane produced after his hard addiction to drugs and alcohol, especially once Coltrane’s swaying vocals kick in (“A-Love-Su-preme, A-Love-Su-preme…”). 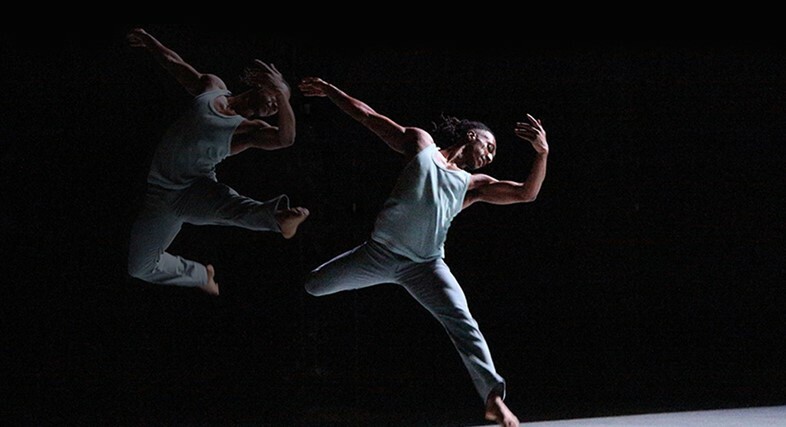 The dancers’ bodies are transformed throughout, taking on the warm, rhythmic form of their corresponding instruments; Coltrane’s tenor saxophone, piano, bass and drums. A Love Supreme is touring throughout the year, so catch it where you can. When Ronald K. Brown established his dance company in 1985, it was with a clear intention; advocating for the growth of the African American dance community, and producing work that seamlessly blended traditional African dance with contemporary dance choreography. It is work that remains just as vital today. This run includes the world premiere of a new duet, plus a return to the repertoire with Dancing Spirit, which “in its understated, inward intensity, requires that the audience lean into it,” The New York Times noted in 2009. Shiro Takatani, the Japanese interdisciplinary visual artist, works across performance, photography film and dance, and so in ST/LL, set design is as crucial as any of the movements on stage. 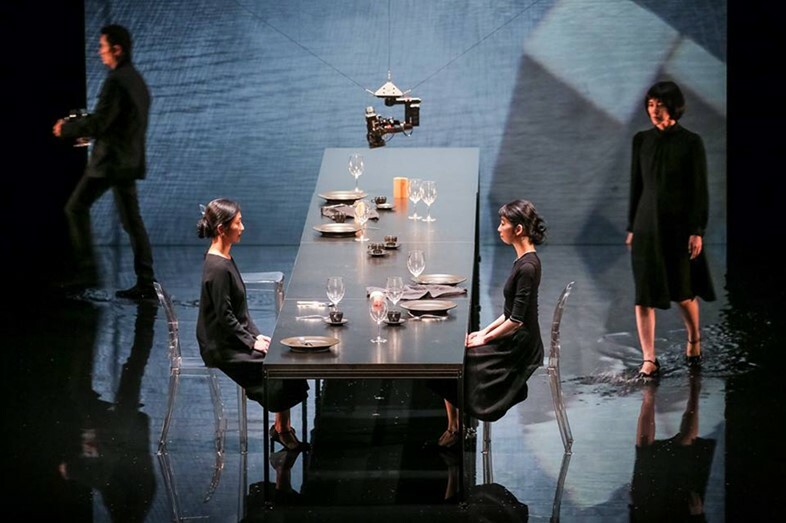 Starting with a long table set elegantly for dinner, silver plates and all, dancers are guided through rain, mist, and showers of white paper, all the while considering how we feel our way through time. With a score from the Japanese composer Ryuichi Sakamoto. For three months, sculpture and performance artist Brendan Fernandes and dancers from The Joffrey Ballet are setting up camp at Chicago’s Graham Foundation. The aim? To unpick ballet’s formally disciplined and idealised poses (which when on-stage appear graceful, and full of ease) and put them into new environments, where audiences may linger in the foundation’s historical rooms – casually or up-close. With ‘sets’ designed by Norman Kelley, the Chicago-based architecture and design practice that has contributed to the 14th Venice Architecture Biennial (2014), and outfitted Aesop stores. When Pina Bausch adapted Christoph Willibald Gluck’s 1774 opera Orpheus and Eurydice in 1975, she transformed it from an ultimately optimistic tale of redemptive love to a mediation (or just more realistic take?) on mourning, violence, peace and death. But as always with Bausch, the result heightens the theatrical tension, especially here, with male dancers in leather butcher’s aprons and uprooted trees supine across the stage. Don’t speak German? Don’t let that put you off this four-part opera – quickly brush up on the tale of Orpheus and Eurydice and settle into Paris’s most beautiful Opera House. You won’t regret it. A love story spliced between three rooms, a wood-panelled Art Deco train station and a claustrophobic conference room are the backdrops for a trio of contemporary ballet from Nederlands Dans Theater, which makes its Kennedy Center debut this April. In The Statement, from internationally renowned choreographer Crystal Pite, dancers are corporate types attempting to hastily patch together a botched deal, accompanying by tense recorded dialogue from playwright Jonathon Young. Meanwhile in Sol León and Paul Lightfoot’s Singulière Odyssée, strangers move generously to Max Richter, and in Shoot The Moon, lovers meet at windows and amidst revolving rooms, scored by Philip Glass. Richard Alston, one of the UK’s leading choreographers (and now artistic director at The Place) made his first work exactly half a century ago. To mark the anniversary, Mid Century Modern draws on a career’s worth of works, including the short but sweet Dutiful Ducks, originally created for a 17-year-old Michael Clark, in which the dancer follows the rhythm of Charles Amirkhanian’s stuttering – and quite addictive – sound poem of the same name. A new work set to Schumann’s Carnaval, and Martin Lawrence’s fusion of tango and contemporary in Tangent also feature.